Content Builder for your Joomla website. JoomD is the Feature-packed, Simple and Flexible Directory solution, Content builder and Content Construction Kit for your website. Use it to build a Blog using its Entry and Custom Fields Manager, or a Directory Listings with Newsletters, or a Business Directory with multiple categories and Google Maps with directions, or a full-featured Articles Listing website. 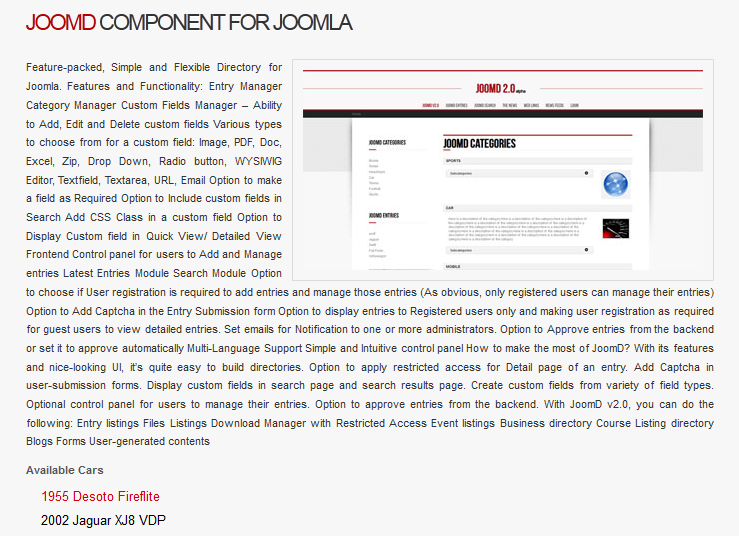 You can build, virtually, any type of Content Listing with JoomD. Create your blog posts, make them shareable with JoomD social buttons, add images in a slideshow, generate RSS feeds and more. Build your own Fashion website with images and stories. Make your fashion listings go viral with our social buttons. Cars listings with custom fields, Youtube videos, images slideshow, Fully customizable CSS layout, Contact Owner button and more. List your county's schools, courses on offer, school strength, contact details, faculties, Newsletters and further details about each listing. Creating an Events Listing website? 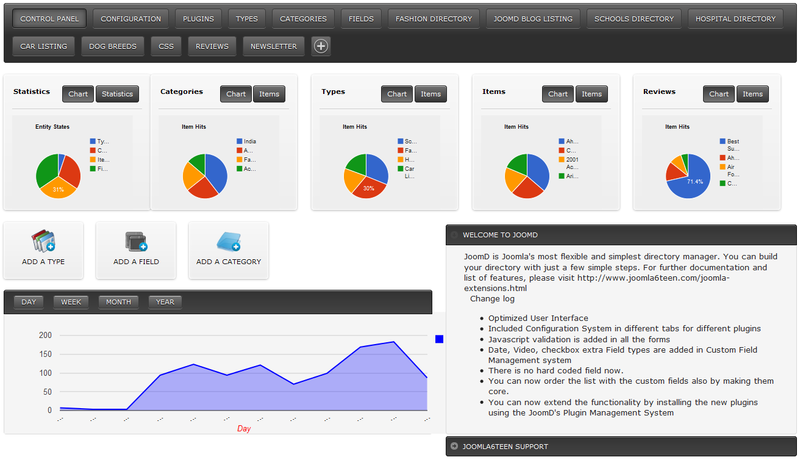 JoomD lets you create events, date and time, venue map with direction and any other details you wish to provide. Build your own Bed and Breakfast Listings website with custom fields for rooms available, facilities provided, Youtube videos, image slideshows, Google maps et al. 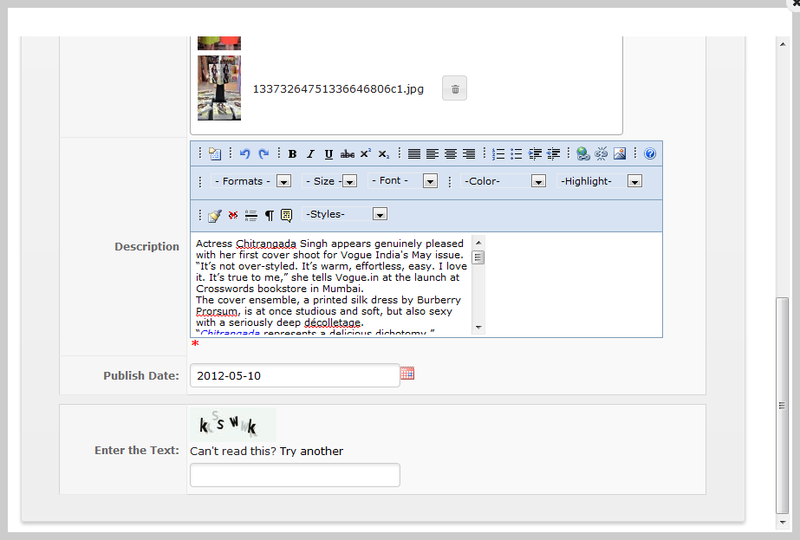 It is one of the easiest content types which can be built using JoomD. 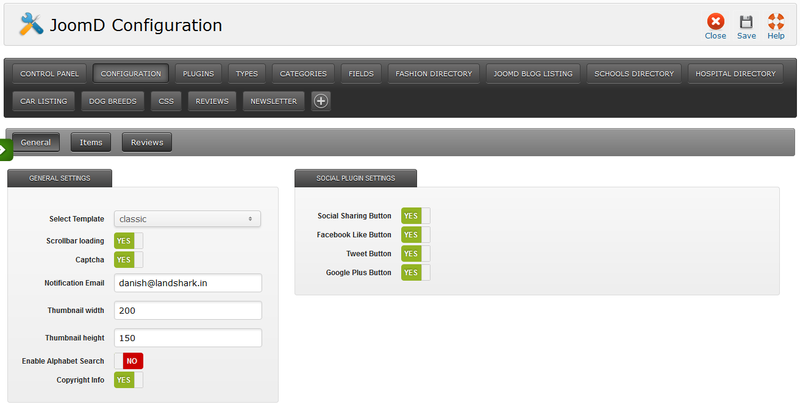 You need Custom fields, Google Map with Icons, Tag clouds, My saved entries module and JoomD Core Search plugin. Creating an Restaurants Directory website? JoomD lets you create restaurants, date and time, venue map with direction and any other details you wish to provide. 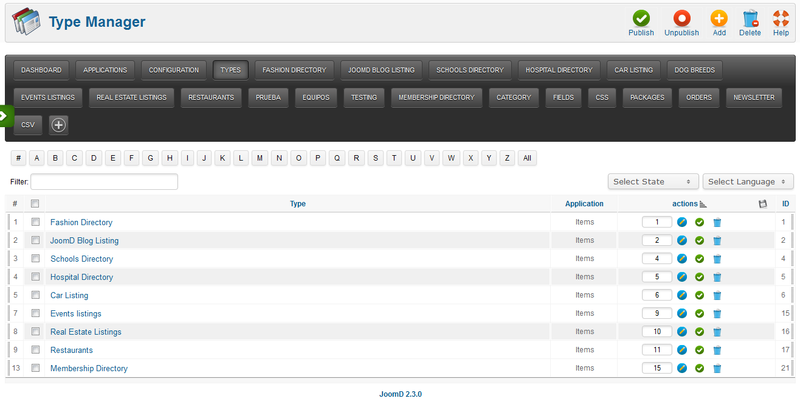 You can manage JoomD plugins ( like category manager, entry manager, coupon manager etc). Allows you to manage entries. It includes date, video, multiple image fields, address with Google map and many more. .
Category/subcategory can be managed from here. You can create multiple type of listing (eg. directory, coupons etc). Quick icons to add entry, type and category. Configuration parameters for all the plugins in different tabs. Share content on Facebook, Twitter, Google Plus and others. Report Item form to report/flag an entry. Integrate Youtube Videos into your items/contents/entries. Display your item's images in a slideshow. Subscribe to multiple newsletters and manage them in the backend. You can set the css class for every field. You can set whether to display Custom Field Title/Icon. JoomD CSV Application allows you to import data and export data in CSV format with the selected types, categories and fields. 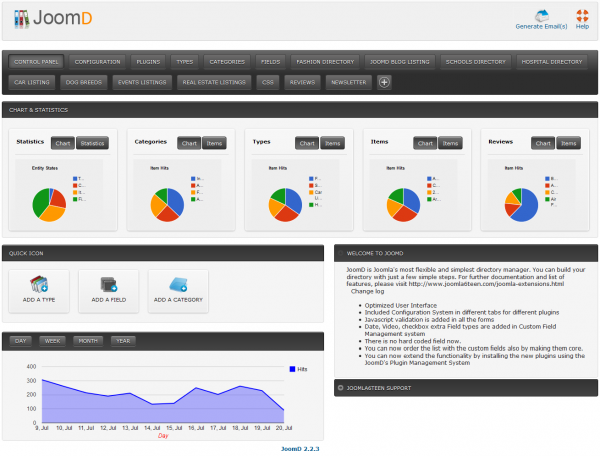 Subscription Management Application. Create Subscription Packages and Manage orders. 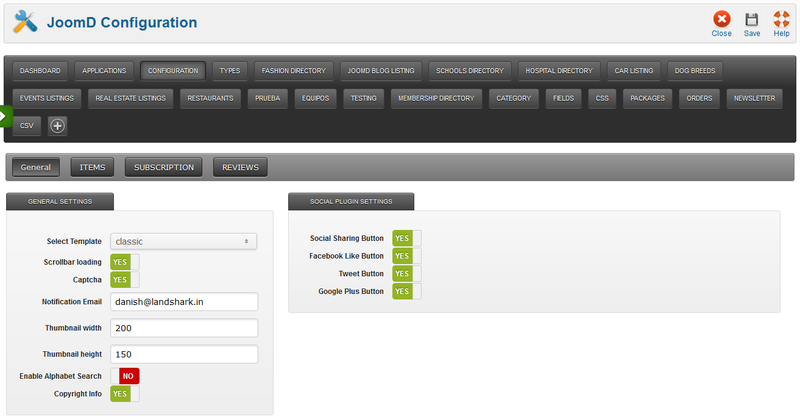 Rate and Review plugin adds the Ratings and Reviews capability to JoomD. Paypal Payment Gateway for purchasing Subscription Packages. Fields are installable. One can create his own fields and install and use them. In-built Template Engine. 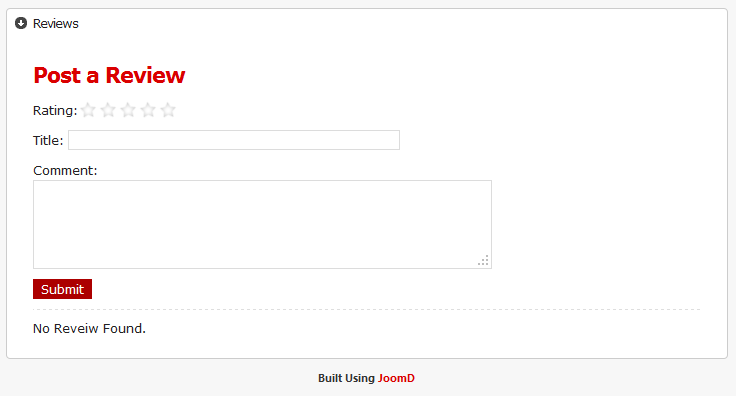 Browse from the library or Create your own template and use it for your JoomD contents. Run JoomD without worrying about updates. JoomD has remote update feature so next time an update comes in, simply press the update button. 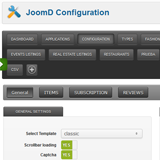 JoomD has the ability to run multiple instances of contents in different languages on the same Joomla installtion. Shows visual charts of your data in the backend with various parameters. Option to Include custom fields in Search. Option to Add Captcha Spam Security in forms. Option to choose if User registration is required to add entries and manage those entries. Bookmark your entries to Digg, Stumbleupon etc. This button lets user share the entry with his friends through email. Search entries around a radius on the map or around a zipcode. Display Related Entries for each entry. Each Directory Type has its own configurations to make sure each directory run independent of each other with their own set parameters. Search Engine Optimization settings for each item and ability to set your own SEF URL for your items. Display Google maps in your entry and also as icons in the Google Maps module. Categories, Entries and fields all have access levels. This is a popup form which lets you contact owner of the listing/entry. Print an entry along with all of its custom fields. This feature lets user save their favorite items into their dashboard. 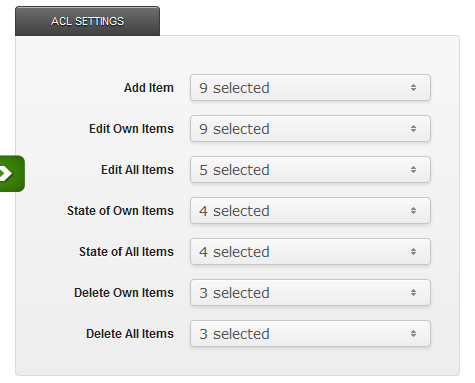 Extensive ACL configuration for each directory type. Option to make a field as Required. Option to Select Category in custom Field. Option to Display Custom field in List View/ Detail View. 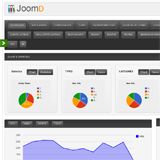 Install JoomD in your website and go to Control Panel. 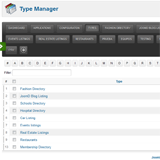 Create a Directory Type using Type Manager. 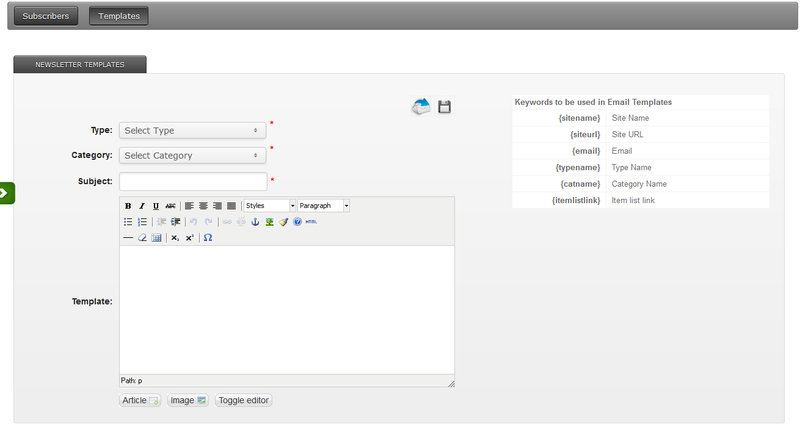 Then Create Categories using Category Manager. Finally Create some Fields using Field Manager. Start adding content in your directory using Entry Manager. "Though this component isn't perfect it is a VERY good directory component. It does everything I was looking for except for one which is the ability to do multiple top level directories. I was told that is coming in a future version so I will give it the benefit of the doubt and look forward to that release continuing to use this component. " "I'm a relative beginner, so I needed a directory program that was easy to use and wouldn't require a ton of hacking to make it work right. This program worked beautifully! It seamlessly integrates the profile creation, front-end user functions, and search/browsing, and the documentation is very easy to follow." Bring JoomD to Android. 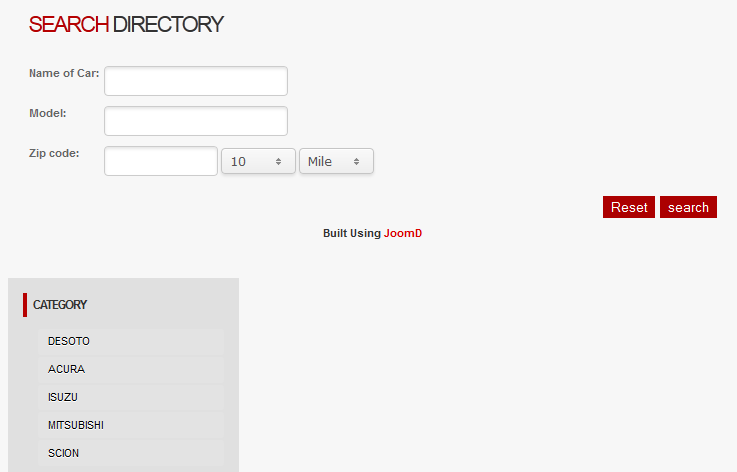 Build your directory using JoomD and Move it to smartphone. Fully dedicated to make it a great experience for our customers. No less than that. Whether it's a compatibility issue with another 3rd party extension you are using or need a step-by-step guidance to setup the extension or anything you want us to help you with re our extensions. We're always there for you. A refund is just an email away.